I’m not sure how best to proceed. Here’s one possible plan. (d) NSW government enquiry of 1858-9. And after that, what? I have a few ideas–maybe life stories of a number of the orphans, maybe inter-generational family histories of some of them, or an examination of orphans in different regions–the Illawarra and Hunter valley in New South Wales, the gold fields and Western Victoria, the Moreton Bay district, town compared with country, or perhaps something on the orphans in South Australia, about which I know very little. We shall see, what we shall see. Such is life, as one or two Irish-Australians once put it. It is important that I take this one small bite at a time. tomorrow we’ll do our best”. Viewing the Earl Grey female orphan scheme from a government position is a very different perspective from that of its opponents in Australia, and different again from the young women themselves, or that of present-day family historians. The British Imperial government was very thorough. Its plan, instigated with the approval of its representatives in the Australian colonies, and despite a long communications turn-around time of six months or more, is testimony to its forward planning skills. Yet no matter how good the forward planning, in practice, the scheme was always a work in progress; who should choose teachers or religious instructors for orphans on board ship? should surgeons on board orphan ships be paid more? where do we get a supply of Douay Bibles? These things were all arranged in piecemeal fashion, as the scheme progressed. How well things worked out in practice, however, would not always be in control of the government. Grey did not intend ‘imposing’ Irish workhouse orphans on the Australian colonies. His government’s representatives in Australia told him the colonies would welcome an influx of marriageable female labour. His major concern was to meet colonial demands for labour by renewing large-scale government-assisted emigration. The female orphan scheme was but a part of this. In their covering letter to the under secretary for the Colonial Department, 17 February 1848, the Colonial land and Emigration Commissioners CLEC) emphasized, re- the orphans, that “Lord Grey is well aware of the necessity which exists for preserving the proportions of the sexes in any large emigration to a new country. Single men willing to emigrate are to be found in abundance”. This too was a major concern. Let me further illustrate just how meticulous and detailed Grey’s plan was by returning to two of my earlier posts, posts 2 and 3 in particular, where I outlined the Colonial Land and Emigration Commissioners’ proposal, dated 17 February 1848. (See the Eppi link above). 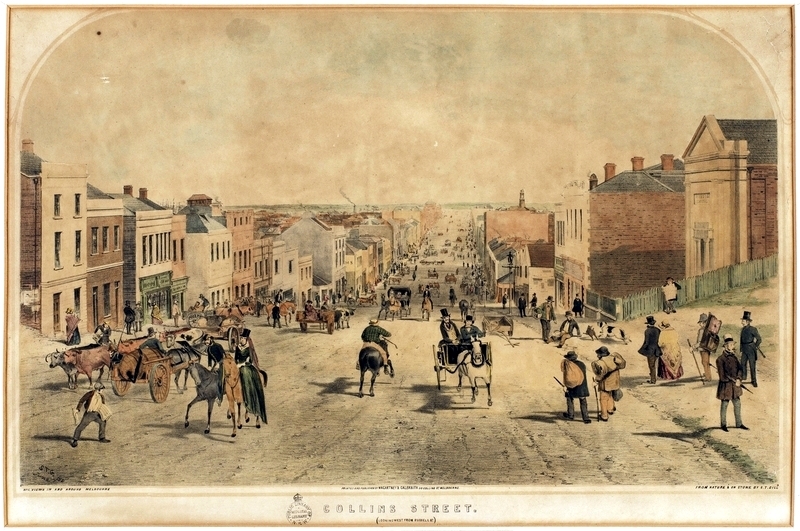 Remember the colony of Victoria, as it later became, was still part of New South Wales between 1848 and 1850, i. e. during the female orphan scheme; Victoria did not ‘separate’ from New South Wales until 1851. Remember, too, that South Australia was different again: that colony had a different Governor, different laws and different ways of doing things. Grey was obliged to ‘communicate’ separately with them both. 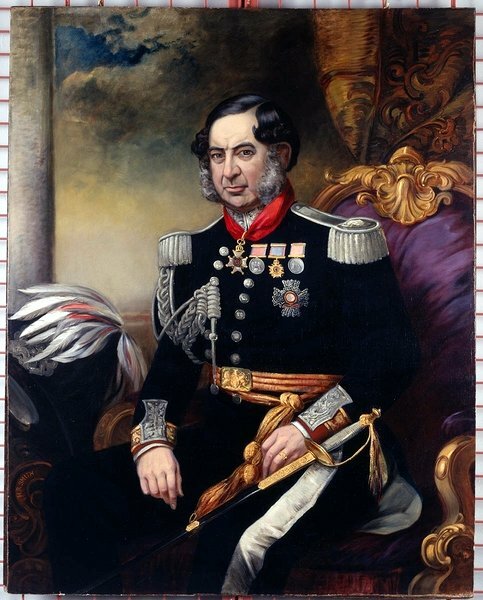 Charles Augustus Fitzroy. 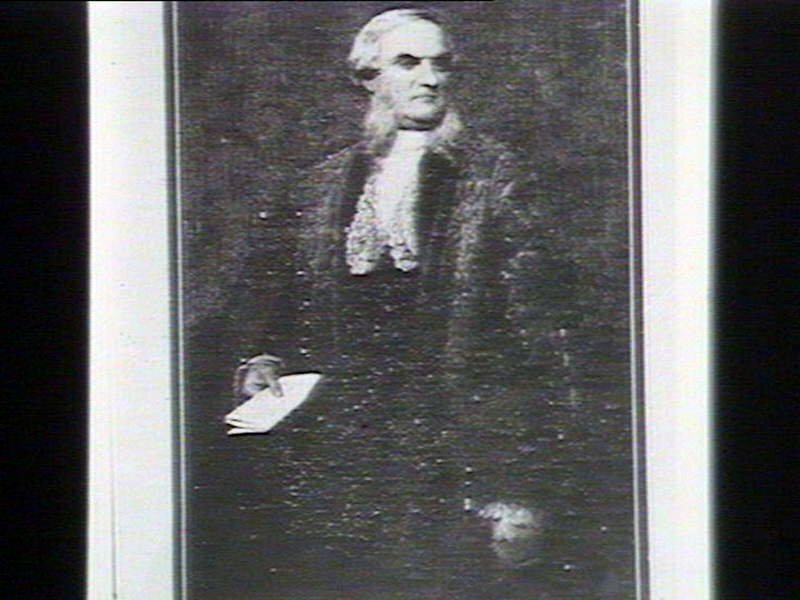 Governor of New South Wales in 1855. Courtesy of the State Library of New South Wales. Here is the extract from the CLEC proposal mentioned above that I posted last August. Allow me to develop these. They are worth a careful reading. 6. The Governor will be directed on the arrival of these Emigrants in the Colony to make such arrangements in regard to their employment as may be most to their benefit, according to their age and circumstances. 7. Every pains will be taken to find the Emigrants respectable Employers– when their age and circumstances render it fitting, they will be bound Apprentices, under Laws which are in force in the Colonies. It will be stipulated that fair wages shall be paid by the Employers, according to the current rate prevailing in the district; and after deducting such portion as may be required to pay for clothes, and other current expenses, the remainder of their wages will be reserved, to be given to them at the expiration of the Contract, or…at their marriage, provided it be approved by the Government, or by the Committee appointed to act on its behalf. A power will be retained of forfeiting the reserved wages of any of the Children who may abscond, or whose indentures may be cancelled for misconduct. 8. The Governors of New South Wales and South Australia, will be directed to appoint a Committee in each Colony, at which they will request the cooperation of the Bishop of Australia and the Roman Catholic Archbishop of Sydney, and in South Australia, of the Bishop of Adelaide and the Roman Catholic Bishop, to see that these stipulations are duly observed by the Employers… This might appear to be wishful thinking i.e. giving such Committees powers which in practice they could never police to the full. How could they, once the young women went into the hinterland? But they nonetheless went to great lengths to make it work. In a Despatch (Earl Grey to Sir C. A. Fitzroy, Governor of New South Wales, 28 February 1848, even before the Irish Government approved the scheme) Grey expressed his hope that not only prelates of the Anglican and Catholic churches would consent to serve on the Committee “but also some of the leading clergymen of the other denominations”. In addition, he suggested the Committee ask for applications for servants from “the most respectable persons in different parts of the colony”, things which did indeed occur. (I’ll let this earlier comment of mine remain). 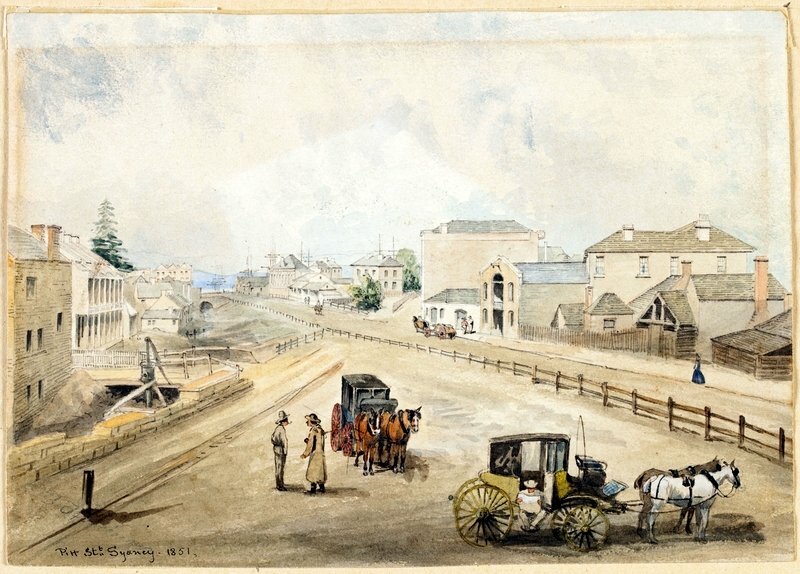 Fitzroy reported to Grey in a Despatch of 1 December 1848 that he “lost no time in forming a Committee in Sydney, and desiring Mr La Trobe to form one in Melbourne, composed as nearly as possible upon the principle and for the purpose suggested by the Commissioners”. (BPP Colonies Australia Sessions 1849-50, vol 11, p. 29). Things were similar in South Australia. 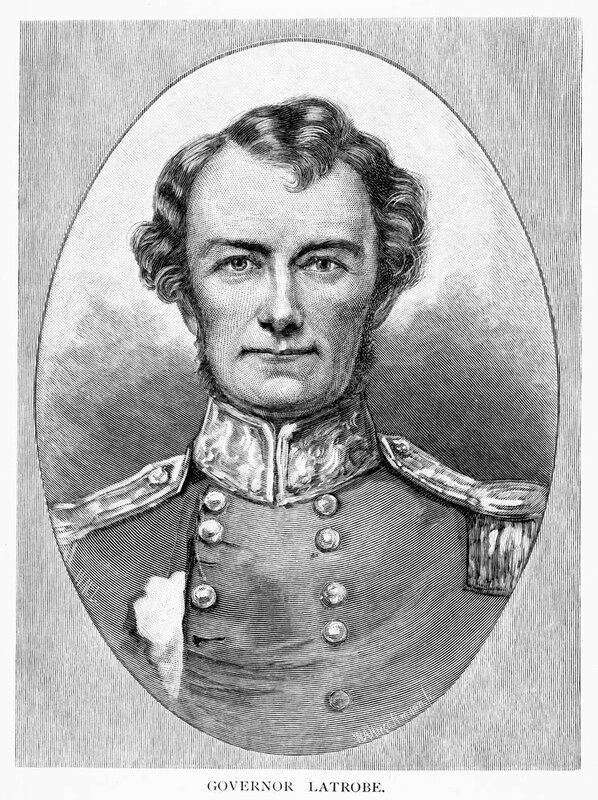 Lieutenant-Governor H. E. F. Young forwarded a South Australian Government Gazette to Earl Grey in a Despatch dated 10 September 1848 naming the members of the Irish Orphan Emigration Committee in Adelaide…”in pursuance of the instructions conveyed to me in your Lordship’s despatch No 28 of the 28th February last“. (BPP ibid., p. 330/208). Young was quick to emphasize “the emigration of orphans to South Australia…should include a due proportion of English and Scotch orphans.” Enquiries were later made in Britain about this but the suggestion was rejected as impractical, for a variety of reasons. Things were not totally the same in South Australia. The day before, 9 September, Young told Grey that, on the suggestion of the Orphan Committee and the advice of the Executive Council, he had provisionally appointed Captain Brewer as Emigration Agent for South Australia. The Executive Council drew up specific instructions for the Emigration Agent that included, “You will consider yourself the guardian of the immigrants; and it will be your duty to advise and assist them in finding suitable employment, taking care, more especially, as far as lies in your power, that the young females do not make any agreements with those who may be known to you as persons of bad character. Single unmarried females, without natural protectors on board, and without offers of employment can be provided with lodgings and rations for a short time at the Native Location, where they will be under the care of the matron…”. 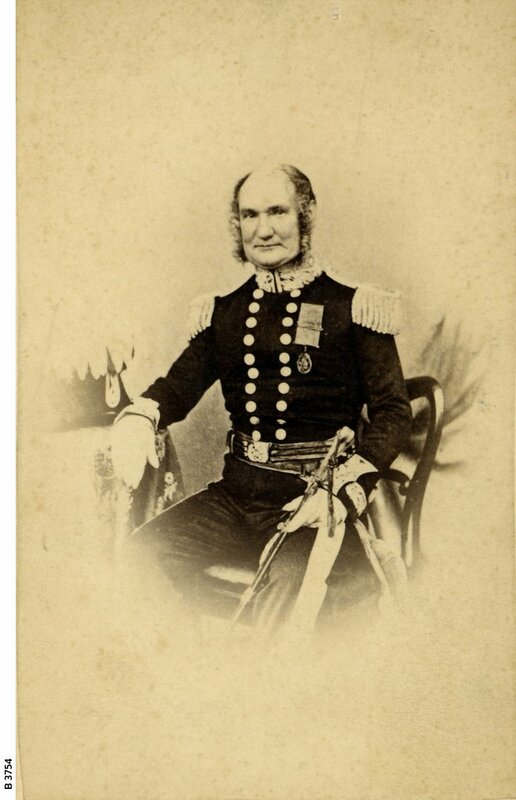 Captain Brewer was not a member of the Adelaide Orphan Committee. Note, however, he was told he should consider himself guardian of the immigrants. 10. This Emigration will be watched with the utmost interest by all who are concerned in the Colonies to which it is to be directed; and upon the manner in which it is conducted will depend the power of the Government to encourage its continuance. The Colonists are desirous of adding to their body, not the idle and worthless, but those whose education and moral and religious training afford a reasonable guarantee that they will become active and useful members of a Society which is in a state of healthy progress; and it will therefore be imperative on the Colonial Land and Emigration Commissioners to select those young persons whose education has been attended to, and of whose conduct they receive a satisfactory report from the competent authorities. This is a clear statement of the social engineering in which the Imperial authorities were engaged. Let me describe the composition of Orphan Committees in Sydney, Melbourne and Adelaide; it is basically the same as suggested by Earl Grey and the CLEC. The committees were made up of lay and clerical dignitaries who had a wealth of experience in political, religious, legal, police and immigration matters. If anyone is so inclined, the Australian Dictionary of Biography, will provide more information about some of these gentlemen. It is available online. It is a great research tool. Not everyone on the Committee will appear. 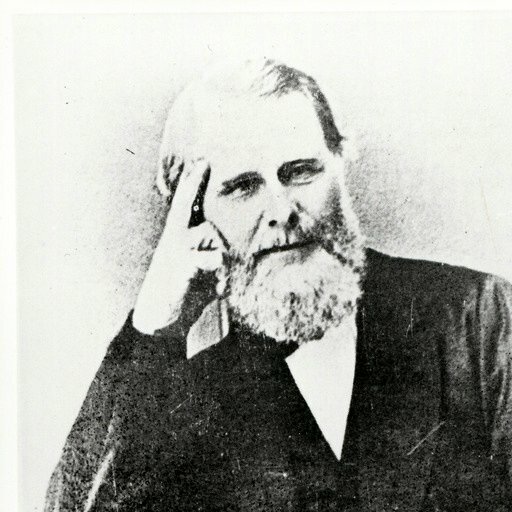 See for example, http://adb.anu.edu.au/biography/gregory-henry-gregory-2122 and http://adb.anu.edu.au/biography/merewether-francis-lewis-shaw-4189 Some of these probably also need updating. Any three of whom will be a quorum to transact business. There is a very good chapter (chapt. 6) in Richard Reid’s book, Farewell my Friends, Anchor Books, 2011, describing the function of these committees. Dr Reid (pp.144-6) concentrates on the Sydney Committee and says it “had wide powers relating to employment, wages, discipline and general moral guardianship over the orphans”. The Sydney Committee took its duties seriously, vetting prospective employers, overseeing orphans’ indentures, providing protection if they went into the country, approving their marriage, protecting them from ill-usage, disciplining them by confining them to ‘pick oakum’ in a special room in Hyde Park Barracks, or banishing them to work in the hinterland. My own impression is that there is something ‘pro forma’ or ‘legalistic’ about the Imperial government’s bureaucratic aims. Its concern with establishing an appropriate legal structure for the Earl Grey female orphan scheme was paramount. This is apparent in its directives for establishing local Orphan Committees and in ensuring colonial government Master-Servant legislation was appropriately modified for orphan apprenticeships. I very much agree with Dr Reid when he claims the day to day running of things devolved upon local colonial government officers; F.L.S. Merewether in Sydney, John Patterson in Melbourne, and Matthew Moorhouse in Adelaide, in particular. No Orphan Committee minute books have survived, to the best of my knowledge. What does survive is a large archive of Francis Merewether’s correspondence as Immigration Agent: it is a tribute to his diligence and his ‘sympathy’ for those in his charge. Readers may have noticed in the case of the Adelaide Committee, any three members formed a quorum. It looks as if this also applied elsewhere. Let me fasten down this interpretation by looking at the arrangements for indenturing the orphans. 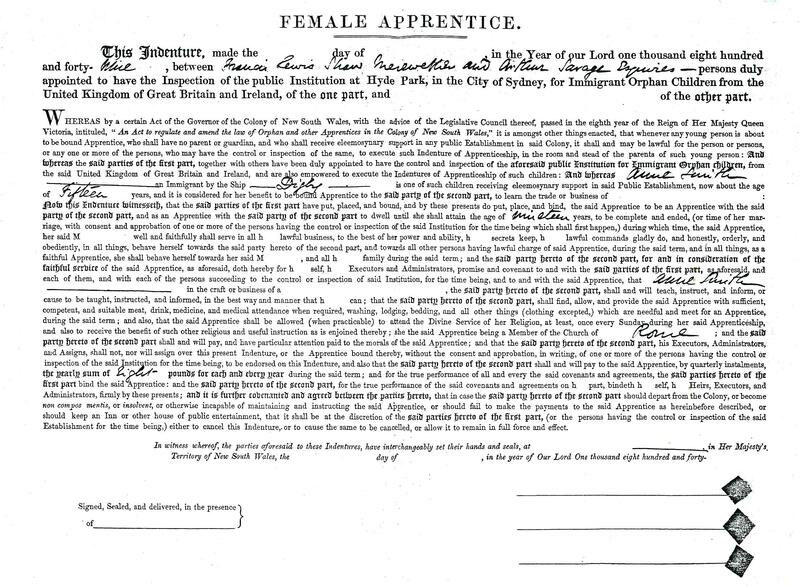 The South Australian government took to heart clause 7 (see above) of the CLEC proposal of 17 February 1848 “…they will be bound Apprentices, under Laws which are in force in the Colonies…”, Governor Young issuing an Ordinance ‘with the advice and consent of the Legislative Council’ “to provide by Apprenticeship for the Protection, Guardianship and advancement in Life of Emigrant Orphan Children…”. It is interesting they used the word ‘children’; the Earl Grey orphans all travelled as adults, they being over 14 years of age. The Ordinance gave the Children’s Apprenticeship Board (three members of which constituted a quorum) power to bind “poor children” in apprenticeships until they reached nineteen years of age, or until they married. It specified in detail what masters and mistresses should provide for their servant–food, lodging, bedding, clothing, medicines–allowing them to attend church service, and depositing a proportion of their wages in the South Australia Savings Bank after two years of service. It permitted servants to be transferred “to any other fit and proper person” with the consent of the Board. If there was no such consent, the master or mistress could be fined £10. One or more Justices of the Peace could hear complaints from either master, or servant apprentice, and was given the power to fine masters £10 or send any misbehaving apprentice to a gaol or House of Correction, “there to be kept in confinement on Bread and Water for any time not exceeding Fourteen Days”. The Ordinance made the Children’s Apprenticeship Board the legal guardian of the orphans, with the ‘same power as any guardian lawfully appointed in England’. It is a detailed and comprehensive document covering all the eventualities they could foresee. Appended to it was the “Schedule” or form the apprenticeship should take. 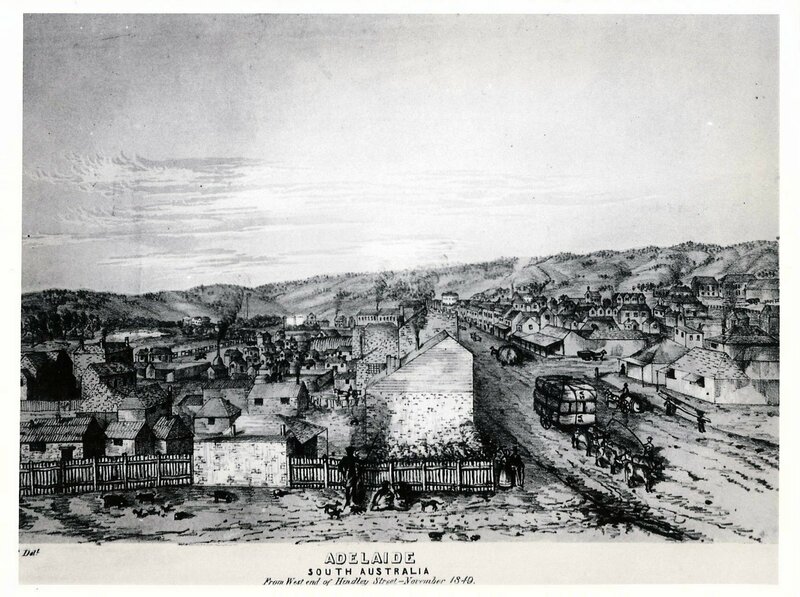 (The Ordinance was printed in the South Australian Government Gazette, 24 August, 1848 No.8. It is also available in BPP. Colonies Australia, vol.11, pp. 333-36/211-14). Máire, Máire Healy, Eliza Roe, céard a dhéanfá? What would ye do? Holy Mother of God, what does this mean? “In consideration whereof, the said…executors and administrators, doth by these presents, covenant, promise and agree to and with the said Board and every of them, and their and every of their successors for the time being, and their assigns…”. Would ye listen to that? Do they not even speak English, Eliza Lynch? You have to take the job Biddy Kelly. You’re not allowed, you aren’t allowed to say no. and that some provision be made should the master die or become incapacitated. The Commissioners politely added that these were merely suggestions and they, of course, would defer to colonial authorities, whose ‘ability and local knowledge’ would allow them to do what is best. New South Wales circumstances were more complicated than South Australia. Here, there was a long legal history relating to apprenticing orphans and regulating disputes between masters and servants: Acts of 1828, 1834, 1840, 1844, 1845, ’47,’50, ’52 and ’54 were on the statute books until 20 Vic 28 appeared in 1857, an Act which lasted until 1902. Changes to the legislation had occurred as required, and to correct the mistakes and carelessness of earlier drafting of the laws. In 1845, for instance, the NSW Legislative Assembly printed the Report of its Select Committee on the Masters’ and Servants’ Act, with minutes of evidence. The sort of thing they focused on included breaches of contract–servants’ “absenting themselves without reasonable cause”, servants’ being “guilty of disobedience or other misconduct” which covered “insolence“, servants’ ‘wilfully damaging property‘. Breaches by employers were also covered; non-payment of wages, failure to provide proper rations, failure to provide a certificate of discharge, for example. But the dice, i believe, was loaded in favour of Masters. Servants would have been justified in questioning the impartiality of the courts appointed to resolve disputes. Magistrates who sat in judgement were employers themselves and too easily identified with fellow employers. Women proved something of a problem for them. At least they recognized that a female servant might be provoked into being insolent. And generally, law makers were loathe to punish female servants with imprisonment. The special provisions for the Earl Grey orphans suggested by the CLEC came into force via the Orphan Committees or the members delegated to apply them–have prospective employees apply for a servant beforehand, and their applications vetted; if an employee was out of town then two Justices of the Peace should oversee her assignment; put part of the servants’ wages in a Savings Bank– for as the CLEC had suggested “the accumulated payment would operate as a great inducement to work out” her “period of service faithfully“. On the other hand, whether wages paid to the orphans were as fair as originally intended (see clause 7 again) is debatable. Still, both Imperial and Colonial governments did their utmost to provide a legal framework for the guardianship and employment of the orphans. Here is an example of an indenture between Anne Smith per Digby and her employer. Take a close look if you can. [I hope that by clicking on the image it will become larger for you. You may be able to make it even larger by clicking again. If you are using a phone, clicking on the image opens it. You can then pinch zoom to make it larger. Thanks Siobhán.] There is also another original apprenticeship agreement between Anne Deely per Thomas Arbuthnot and Frederick Hudson of Ipswich, in the Moreton Bay District, in State Records of New South Wales (SRNSW) 9/6173. I tried finding an original in South Australia State Records in 1995 without success. Considering there were three copies, one for the orphan, one for the employer and one for the government, I’d hoped for a better result. Maybe one has come to light since then? But see what i have to say in post 16. The interesting thing is the orphans accommodated themselves to work within this system and to work the system to their own advantage. (Here’s an interesting research project for someone: ‘Irish Famine orphans and the Law’. There would certainly be enough material for an Honour’s or Master’s thesis, should anyone be looking for a topic). In Barefoot 1 (pp.16-18) I suggested that both master and servant were able to ‘work the system’. Masters knew it was a government-run project and thought they could return unruly servants to the Immigration Depot willy-nilly. The young women, learning of better conditions elsewhere–higher wages, a kinder master or mistress, being closer to a male friend–understood that marriage, backchat, or neglect of their duties were a ‘legal’ means of ending their apprenticeship agreement. They might even try to arrange a ‘transfer’. Or, aware that cancellation of their indenture would mean a return to the Depot and the likelihood of their being sent ‘up country’, away from the town, they were still willing to take the risk, anything being preferable to their current position. But more of this further down the line. More than twenty years ago, Libby Connors said, “perhaps it is time…to take the debate beyond the ‘victim’ stage…We need to start acknowledging and analyzing the extraordinary success of the Irish at thwarting racist migration policies and their achievements in British and colonial politics, whether in the realm of the masculine public world of official policy, or at the personal level of young Irish women defending themselves in their personal relationships”. (Papers at 7th Irish-Australian Conference 1993, ed. Rebecca Pelan, p.179). This entry was tagged Apprenticeship Laws New South Wales, Apprenticeship Laws South Australia, Australian Dictionary of Biography, Children's Apprenticeship Board, Colonial Land and Emigration Commissioners, Digby, Earl Grey, Earl Grey orphans, F L S Merewether, Governor Fitzroy, Governor Young, Indenturing orphans, Irish Famine orphans, Irish female emigration, Libbty Connors, Master-Servant legislation, Matthew Moorhouse, Orphan Committees, Richard Reid, Roman Empeor, Superintendent La Trobe. Bookmark the permalink. Great Job Trevor. About to get on the trail of some of the girls here in Ireland. checking surving Poor Law Guardian Minutes from the 26 counties – a long and tedious but rewarding task. Not often are the girls listed but numbers sent to the port etc. will do an article when I return. And the BGMB for the six counties, Perry? There’s definitely a difference between the ‘official’ number for those sent and the number which actually arrived. Perry, I have some xeroxes somewhere from British Parliamentary papers with names of PL Unions and numbers officially sent There’s an apendix to the minutes of evidence before a Select Cmttee of the house of Lords apptd to enquire into the operation of the Irish Poor Law 1849-49 vol 16 No 507 pp 64-6. That’s only for 1848-9. Maybe you write it HL 1849 1082vo-1083 pp64-6(?). I’ll see if i can find the other references… which are BPP 1850 (XXVII) 592-4 and BPP 1851 (XXVI) 687-702, 744-45. Hope this is of use. Glad you’re still up and running. Just spent a very pleasant week in Rome with Eddie McParland (Brian’s cousin) and Adrian Empey, whom you might remember in the History School. not sure you want this as a public comment William. I do indeed remember Adrian. We’re all a bit wet here in Sydney. I happened to mention how much you and Eddie liked visiting Rome recently, lamenting that you may never travel this far. Do you spend much time in Dublin these days?